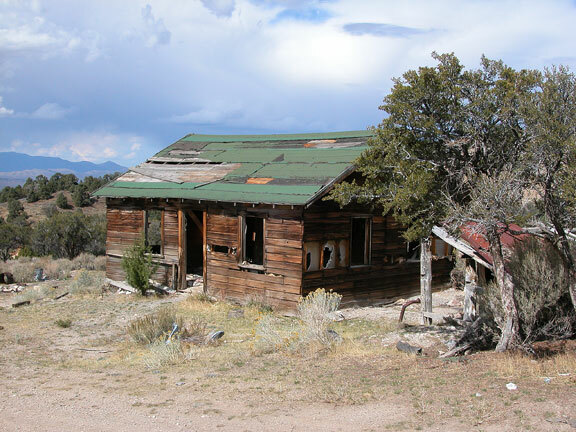 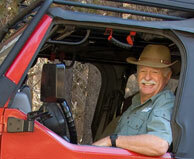 Spruce Mountain is a wonderful place, with four ghost towns along the way. 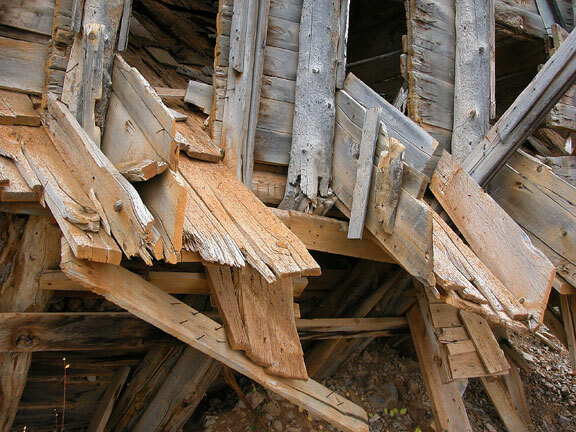 This old cabin was located at the Sprucemont Mining site. 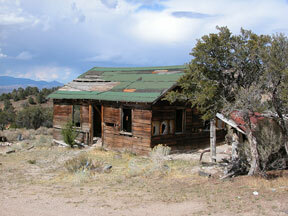 Another remains of a once rich mining town in the Spruce Mountain range. 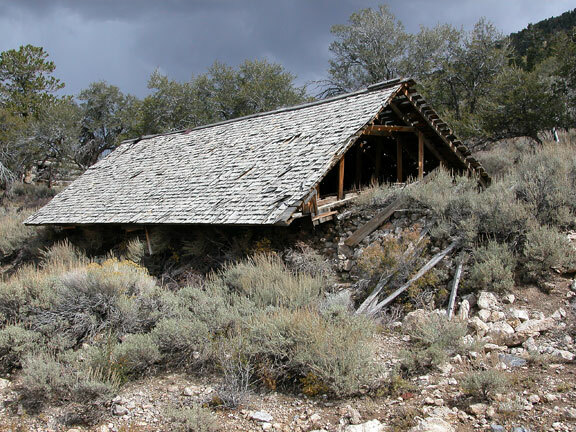 The Monarch Mine was the next town on the Spruce Mountain road. This old loading shoot was still standing. 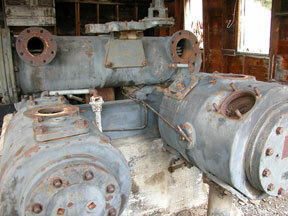 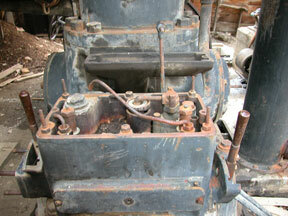 In the mining camp of the Black Forest Mine, we found this Fairbanks Morse compressor, still ready to pump! 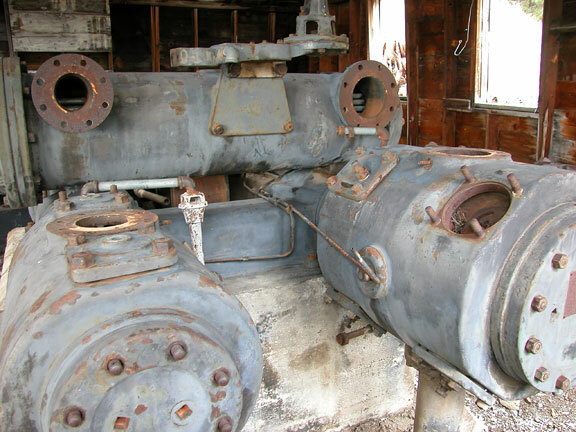 The Black Forest mine also had this Ingersol Rand machinery. Air was pumped into the mine to keep the miners alive. 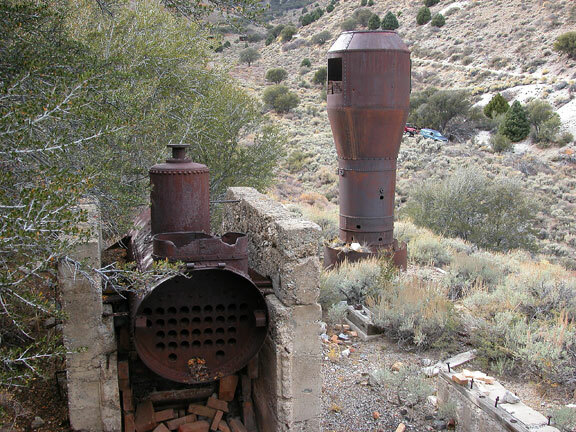 The last ghost town along the Spruce Mountain road was Jasper, where this boiler and smelter still stand.